The first week of August 1917 coincided with the third anniversary of the declaration by Germany of war against Russia, France and Germany. The 16th (Irish) Division and 36th (Ulster) Division both spent the war on the Western Front and sustained enormous casualties. Large numbers of Corkmen served in the 16th (Irish) Division. The 16th Irish Division was subject to a terrible gas attack in Easter Week 1916 that killed 550 mostly Irish soldiers at Hulluch, in northern France. The 36th (Ulster) Division had substantial casualties on the first day of the Somme offensive, the worst day in the history of the British army. The division sustained about 5,500 casualties on that day, 1 July 1916. The 16th Irish Division and 36th Ulster Division were involved in the successful Battle of Messines, at Ypres, in May 1917. 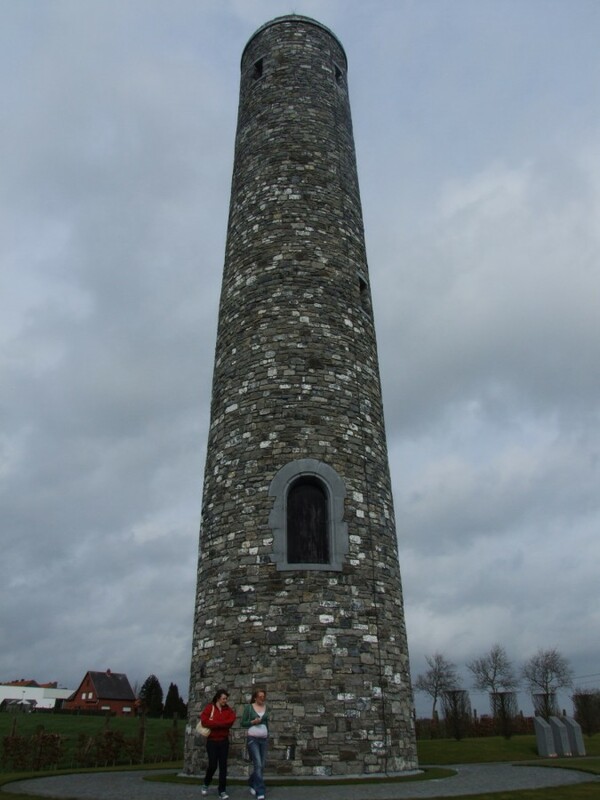 Their actions are marked by the Island of Ireland Peace Park, at Messines, which was opened by President Mary McAleese and Queen Elizabeth II in 1998. Both divisions suffered terrible casualties at Passchendaele in August 1917. 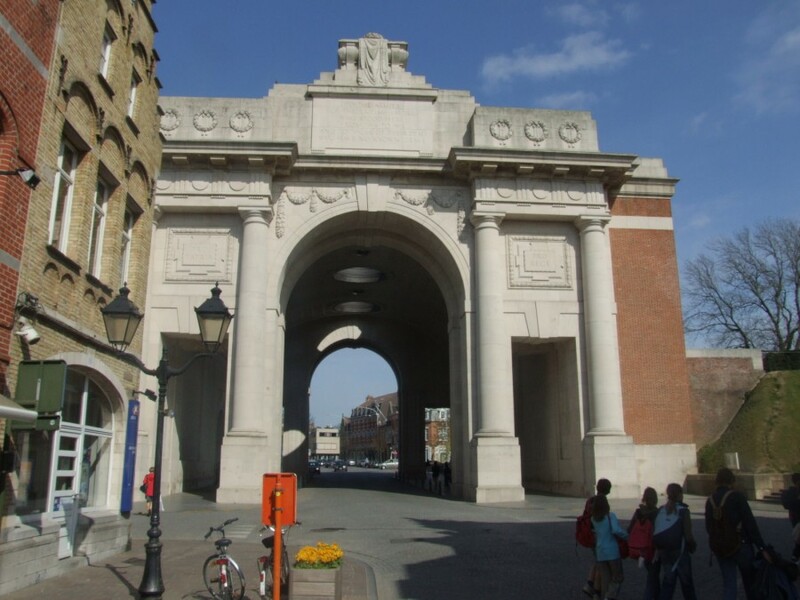 The battle took place on the Western Front, from late July to November 1917, for control of the ridges south and east of the Belgian city of Ypres in West Flanders. Passchendaele lay on the last ridge east of Ypres, eight kilometres from a railway junction at Roulers, which was vital to the supply system of the German 4th Army. As at the Somme the previous year Passchendaele proved a highly costly failure. The 16th Irish Division and 36th Ulster Division were completely exhausted after 13 days of moving weighty equipment under heavy shelling. The battalions advanced through deep mud towards well-fortified German positions. By mid-August, the 16th had suffered over 4,200 casualties, the 36th almost 3,600, or more than 50% of their numbers. Papers such as the Cork Examiner, counted the human cost of World War I as they spread the pictures of dead soldiers across its pages. There were also media supplements on the effects on shipping, exports and imports. The ocean-going, vessels on the United Kingdom register, before the War represented between 17 and 18 million tons gross. Of this tonnage over 15 million tons were regularly employed in trade with the United Kingdom, the remainder being engaged in trades between foreign countries, the various parts of the British Dominions. A large amount of this distant trading was cut and brought home to deal with war need. By 1917 the ocean-going shipping on the United Kingdom register was a little over 15 million tons, of which 14 million tons were employed in the home service. Of the 14 million tons employed, however, only about one half was available for the trade of the country. About 6 ½ million tons was allocated entirely to the needs of the Navy, the Army, the Allies, and the Dominions overseas. A further million tons was available for imports. From the beginning of the war, British ships were steadily being requisitioned by the Government and run in the National instead of in the private interest. The rates paid to shipowners soon became lower than the freights, which could be earned by their own trade. The situation reached a stage where it was necessary to take complete control of all British shipping. All British liners were requisitioned and were run on Government accounts. The owners received hire fees at Government rates, and the profits derived from private freight carried at market rates went to the Government, and not to the shipowner. In many instances, the trades built up by the shipowners suffered severely from the depletion of shipping caused by the diversion of the steamers from their usual routes. A considerable number of the fastest and most efficient vessels of the mercantile marine was converted into auxiliary cruisers, and others into floating hospitals. A whole fleet was engaged in raking coal and oil to the Navy; many of the mercantile ships were converted into transports, and were constantly carrying troops from Great Britain and the British Dominions to all fields of war: many were occupied in taking supplies from all parts of the world to the Navy and to the Armies at the various fronts; others in mind-sweeping and patrol work in all seas. A very substantial number were assigned to the Allies to supply their urgent needs for munitions and other imports, and a large number have been sold off to carry wheat and other essential foodstuffs to the Allies. With regard to personnel, the total numbers moved across the seas up to Spring 1917 were 8 million men, over 9 million of supplies and explosives, one million sick and wounded, over one million horses and mules with petrol alone amounting to 47.5 million gallons. The diversion of liners from long distance to short distance trades inflicted injury on many British export trades (particularly to India and the Far East). A very far-reaching programmes of restriction of imports was put into effect. Luxuries (including many commodities produced by Colonies and Britain’s Allies) were excluded, and the import even of essential articles was reduced to the lowest level compatible with national security. The restriction of coasting facilities created inevitable hardship for coastal towns up and down Britain’s and Ireland’s coastline, which traditionally rolled out sea-borne supplies. Kieran’s historical walking tours for National Heritage Week in August (19-27) are now posted at www.kieranmccarthy.ie and will appear here next week.